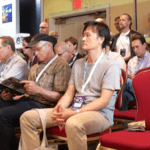 This year’s New York Audio Show sees the US consumer show debut of the Statement – an amplifier solution from Naim that’s the end result of running with a cost-no-object and time-no-constraint prescription. The Statement could also be one of the most costly amplifiers in the world right now. At US$240k you can’t afford it. #Sorrynotsorry. Why so expensive? Firstly, just look at the thing – it’s huge. Two monoblocks flank a pre-amplifier lending the whole shebang a tri-tower look whose dimensions sum to that of a small car; the size alone sees Statement commanding its own area of the Naim factory in Salisbury. One of the key design goals was to optimise SNR. A lower noise floor leads to better dynamic contrasts, key to presenting the illusion of live players. This led to a ten year R&D cycle with Naim ultimately inventing a new transistor ‘style’ (about which I’ll need to dig deeper down the line). At this kind of money, you might shrug with expectancy at Naim’s reported obsessive-compulsion with vibration isolation and RF shielding, all of which feed into the Statement’s resulting sound – bold and authoritative. Specs? An all-analogue affair, it drives 745 wpc into 8 Ohms in Class A/B mode. 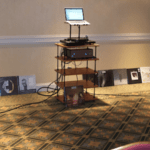 Anyone questioning the commercial viability of this kind of product should check themselves – Naim have already sold sixty (60!) on back-order. There are only two Statements in existence right now with Naim expecting to build three or four units per week once production ramps up. The first boxes are expected to begin shipping to cashed-up end users in November. 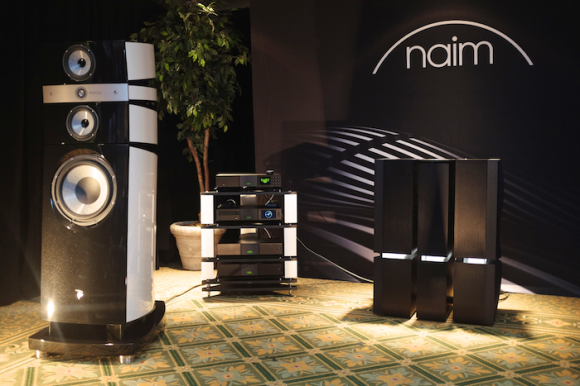 Australians will get their first taste of the Naim Statement at the Australian Audio and AV Show in Melbourne next month. If they have a 30 or 90 day return policy, I might check it out. Throw a party and then return it. Would sound great with Zu or tekton kit! Or large electrostatic or planars. On Naim’s site, they recommend it with a naim speaker with a 200 watt upper limit. So how fast can it run Crysis?! And then you still need a pre-amp! Expect some Naim Statements on Audiogon soon…it’s not the most expensive anymore; trade it in!